Day 0 has come to an end and I am preparing for day 1. Some students have been busy with a scavenger hunt, registration has started and the facilitators have met to talk about the coming 3 days! I’m really excited to be part of this great team of educational experts! Michael Furdyk is the Co-founder of TakingITGlobal (www.tigweb.org), Anne Mirtschin is an award winning teacher from Victoria, Australia whose most recent major awards are ICT in Education Victoria Educator of the Year and Australian Computer Educator of the Year 2012. Kristina Stoney is the director of ISMOTION, a values-led company created to affect change on important social and environmental matters. Chris Betcher is a blogger, podcaster, speaker and author, and an active member of the Australian edtech scene. He shares openly and freely through his blog at www.chrisbetcher.com, and has presented at numerous national and international education events. And not to forget the organizer Julie Lindsay the Director of Learning Confluence P/L, and the founder of Flat Connections. She has worked in six different countries in the past 15+ years as IT Director, Curriculum Coordinator, E-Learning Coordinator and more! I’m really looking forward to learning a lot these three days! I have had time to go sightseeing for two days, met family members and really enjoyed my stay so far! Sydney is a beautiful city, and I am lucky to be here! Spectacular view from my hotel conveniently located with walking and jogging distances to beautiful places. Seems to me many Australians like to go jogging, seems like home to me! Only “problem” is that the sun rises later than I’m used to now in June and sets early too! Not a fan of jogging in the dark! The school is gorgeous as well. 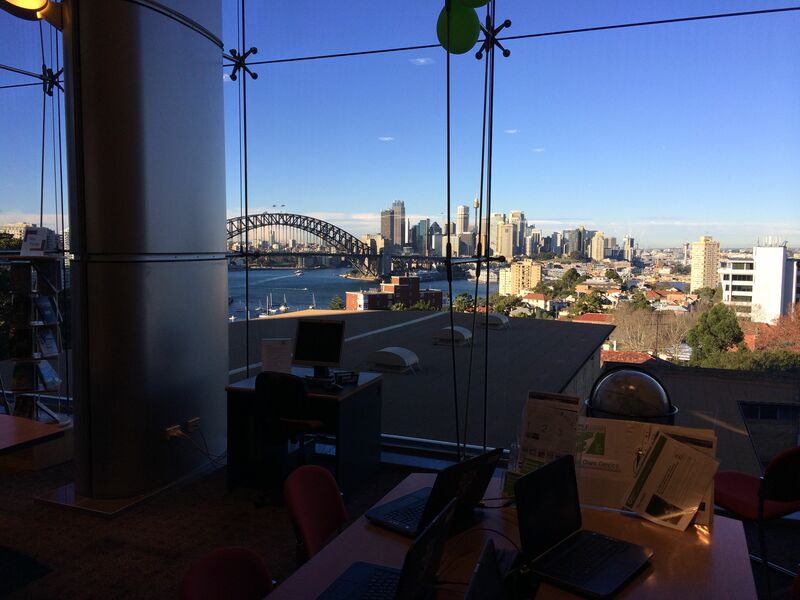 Who wouldn’t spend hours in the library with that view! I would for sure! Wednesday I’m doing a Flat presentation, and Thursday I will be hosting 2 workshops. Thought I’d share my workshop program here. Any comments are very welcome! I’m sure many know alot about this and can add to the learning! I look forward to learning from all the educators and students I will be meeting these 3 days. Just wish I was able to bring educators and students from my school! Perhaps in some years the flat connection conference will be in Norway! How to use Twitter and Skype to connect. We will look at different tools to connect our classrooms. How can we use Twitter to build our personal learning network? We explore the use of Twitter hashtags and lists to keep up with current issues and to connect with experts and classrooms around the world. Skype; how to connect using Skype in the classroom. We look at Skype lessons, how to find teachers, guest speakers and collections. How to organize your classroom to get the most out of a Skype session. 1 to 1 or 1 to many, how to prepare for the Skype conversation. How many are already using Twitter and how can we make sure we are following everyone here at this conference? 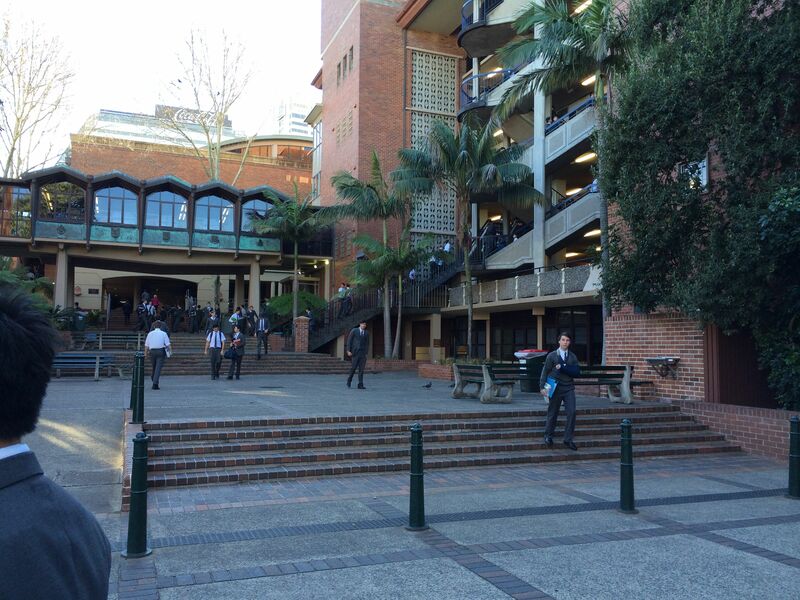 Students on Twitter – why? How can we use this? TASK: Make a Storify where you try to find at least 5 reasons why teachers and students should use Twitter! Use the conference Twitter hashtag to promote your story! Many are using Skype privately, have you reflected on how you could use this in the classroom? How do you find classrooms to collaborate with? What can you do here: how to connect using Skype in the classroom. How many computers, devices should you use? Why groups of 4-5 with one computer makes sense. Watch this video. TASK: Read the article in 8c and comment on the blog how Skype can be used in your school/class. Perhaps you are already doing this and have some great examples to share. Use Twitter to promote your answer! The next Flat Classroom Conference is in Australia! Come on down! I have just done my first skype lesson. Read my story at http://annrooney.edublogs.org/2014/05/23/skype-a-virtual-visit/ Looking forward to more of your posts from the conference. internet marketing strategy. Advertisers all over the place, advertising everything underneath the sun.